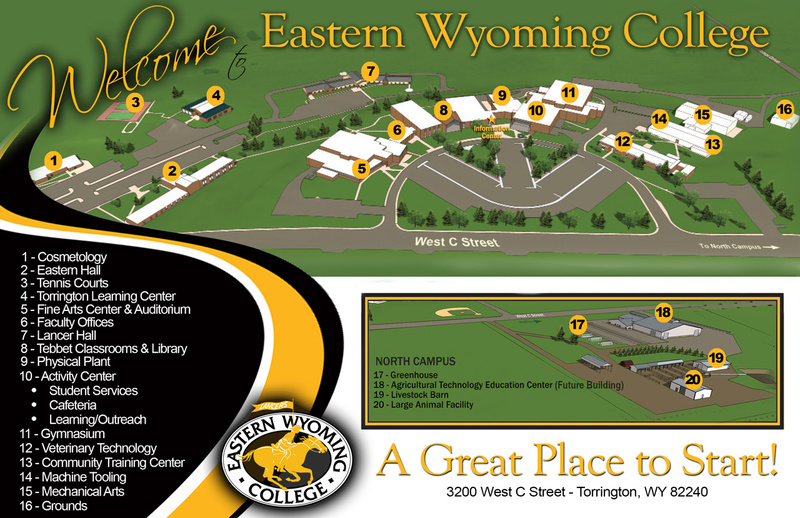 The Community Education office at Eastern Wyoming College in Torrington has announced a Speed and Athleticism Training class. This class will be held on Tuesdays and Thursdays, July 10 – August 2 from 6:30-7:30 pm in the EWC gymnasium. The cost for this class is $79. Join Chad Parish and the No Limits Sports Performance Team for a summer of intensive speed and athleticism training. In this program, participants will learn proper running and jumping biomechanics along with increasing foot speed. Techniques will also be taught and practiced to increase flexibility, boost force production, develop greater hand eye coordination, and heighten kinesthetic awareness. To register for this class or others, contact the EWC Community Education office at 307.532.8323. The Community Education office at Eastern Wyoming College in Torrington invites you to try out the new class, Strong by Zumba. Instructor Teresa Brott is doing a trial run of this class on Tuesdays and Thursdays, beginning July 10th through August 2nd. This pilot class will be held from 5:30-6:30 pm in the EWC Fine Arts Dance Room with a cost of $2.50 per session. In this new high-intensity Zumba class, you will stop counting reps and start training to the beat of the original music that has been designed specifically to match every single move. Strong by Zumba combines body weight, muscle conditioning, cardio and plyometric training moves. In a one hour class you burn calories while toning arms, legs, abs, and glutes. Plyometric or explosive moves like high knees, burpees, and jumping jacks are interchanged with isometric moves likes lunges, squats, and kickboxing. Music and moves are changed up frequently to make sure you are always challenged to the max. Bring a towel and water. The Community Education office at Eastern Wyoming College in Torrington has canceled their Hunter Safety class due to the transfer of instructor Rob Hipp. Ron Miller is offering a class at the Sportsman’s Club on Friday, August 24th, 6-10:00 pm and Saturday, August 25th, 8:00 am – 4:00 pm. Participants are still required to register for the class online at wgfd.wyo.gov/education. If you need assistance registering on the website, call the EWC Community Education office at 307.532.8323. If you need more information, please contact Ron Miller at 307.575.3829. Eastern Wyoming College is saddened to share the passing of long-time employee Teri Griffin, on Friday, June 15. She was the Douglas Adult Learning Center Coordinator. “Teri was truly unique and her students adored her. She had a very strong connection with our students working on their high school equivalency and worked very hard at encouraging her students. Her commitment to EWC and her students will be missed,” stated Dr. Lesley Travers, President. Ms. Griffin taught at EWC for eight years. She was very active and involved in the community where she served for years on the Wyoming State Fair Parade, was a member of the Lions Club and actively involved in the Boys and Girls Club. The EWC Douglas Campus will be closed Thursday afternoon, June 21, so that employees may attend the funeral services. The Athletic Department at Eastern Wyoming College has announced the recognition of several student athletes for high academic achievement. There were 32 student athletes named Academic All Region 9. The student athletes must have accumulated a minimum of 24 semester hours with a minimum 3.25 grade point average (GPA) in the academic year. Of the 32 athletes, 14 were volleyball players, 9 from women’s basketball, 5 from golf and 4 were men’s basketball players. EWC had 21 student athletes who earned National Junior College Athletic Association (NJCAA) All American Honors. The criteria for each level are as follows: 1st Team, 4.0 GPA; 2nd Team, 3.8-3.99 GPA; 3rd Team, 3.6-3.79 GPA. Of the 21 student athletes earning recognition, 8 were women’s basketball, 8 volleyball, 3 golf and 2 men’s basketball. Three members of the EWC rodeo team were recognized as National Intercollegiate Rodeo Association (NIRA) Scholar Americans. This honor recognizes student athletes who have earned points at an NIRA sanctioned rodeo and have earned a cumulative 3.5 GPA. Eastern Wyoming College in Torrington has announced that construction on the remainder of Pinnacle Bank Drive (which is the loop driveway that runs directly in front of the Tebbet building main entrance and the Fine Arts Center entrance) will begin on Tuesday, June 19. Access from the main parking lot to the main entrance of the college will be unavailable during this construction. Employees, students, and any campus visitors are encouraged to utilize the new parking lot, which is located behind the Veterinary Technology building or just north of the Petsch Center gymnasium, and the entrance located near the Fitness Center or near the Cafeteria. Access to the Tebbet building and Fine Arts Center will be restored as soon as possible. The College will maintain normal summer hours of operation during the construction. The College would like to thank everyone for their cooperation and understanding. Should you have questions about access to the College, please call 307.532.8200. Eastern Wyoming College has announced the transfer of Heidi Edmunds to the newly created position of Dean of Instruction. The College recently reorganized the position of Associate Vice President for Outreach and Academic Services to the Dean of Instruction position. Edmunds has worked at EWC since 2006 as the Psychology Instructor. She served as the Division chair for the Arts, Humanities, Social and Behavioral Sciences Division from 2016-2018 and was appointed the Interim Associate Vice President for Outreach & Academic Services 2017. Her new position will begin July 1, 2018. Eastern Wyoming College in Torrington has announced that the Basic Handgun Proficiency class will be held on June 23, 2018 from 8:00 am to 5:00 pm. All participants in the class will experience a 2 hour session of classroom instruction with the remainder of this one day class participating in live-fire range sessions. To register for this class please contact the Community Education office at 307.532.8323 or stop by 3200 West C Street in Torrington. Eastern Wyoming College President, Dr. Lesley Travers, will not be on campus Thursday, June 14, 2018. The Community Roundtable scheduled for that date has been canceled. The next roundtable will be held July 12, 2018 from 12-1:00 pm in CTEC room 218 and will be the final roundtable of the summer. Beginning in September, the Community Roundtables will again be held on the 2nd Thursday of each month. Dr. Travers invites all interested community members to attend the open Community Roundtable where she will provide information of interest about the college, will answer questions and address concerns. Attendees are invited to bring their own brown bag lunch if they would like. For more information, please contact the college at 307.532.8303. The Community Education office at Eastern Wyoming College in Torrington has scheduled a bus trip to see the Colorado Rockies vs the Miami Marlins on Saturday, June 23. Cheer on the Rockies as they play the Miami Marlins. Special promotions on this game day are Photo Day, an opportunity to have your photo taken with players and coaches before the game, and 25th Anniversary Throwback Replica Jersey Day, a gift jersey for the first 15,000 fans. Game time is 1:10pm. The cost of this trip includes the price of admission. Lunch at the stadium, and evening meal is on your own. Your ticket comes with a $10 added value that can be used at almost all of the permanent food and beverage stands in the ballpark. The cost of this trip is $75. The bus will leave EWC at 7:00 am and return around 7:00 pm. For more information, please contact Donna White at the EWC Community Education office at 307.532.8323.